Note: This mattress has been discontinued. 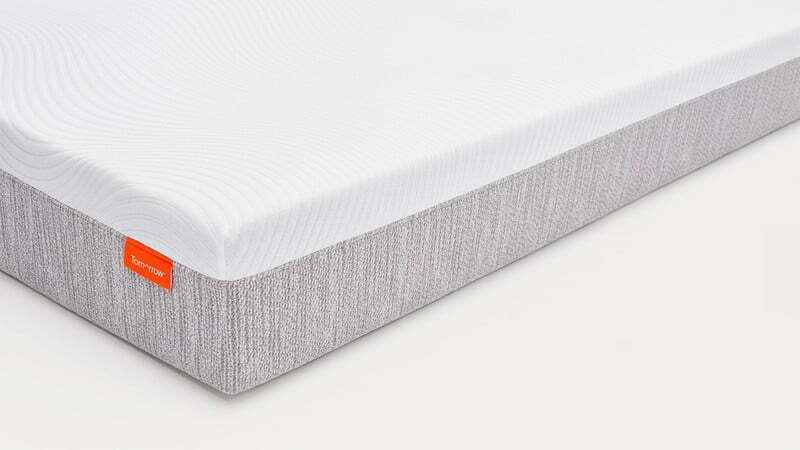 If you are looking for a similar bed, GoodBed has reviewed a number of hybrid mattresses, all of which combine a pocketed-coil support unit with various comfort materials. Click on each for our testing results. The Aviya mattress uses bio-based foams over coils. The Avocado Green mattress uses natural latex over its pocketed coils, as does the Nest Hybrid Latex bed. The Beautyrest Black Calista is one of a number of beds using memory foam on top of pocked coils, a group that also includes the Nest Alexander Hybrid and the Sapira mattress. And other beds use standard comfort foams atop pocketed coils, like the Brooklyn Signature mattress and the DreamCloud bed. GoodBed's Take – Who is the Best Match for a Tomorrow Hybrid Mattress? "Tomorrow" might not be a brand you are familiar with, but there's a strong chance you have heard of its parent company, Serta Simmons, which has sold beds under the Serta and Beautyrest brands for decades through mattress and department stores. The Tomorrow line of mattresses is the company's entry into the online mattress world. The Tomorrow Hybrid mattress is a 10-inch bed with memory foam over pocketed-coil construction, available in two softness levels: Medium Firm, and Medium Soft. We tested the most popular of the two, the Medium Firm. (Interestingly, the two versions differ a bit in construction, which we'll address in the "Layers" section below). The Tomorrow Hybrid stands apart from most of its competition in a couple of aspects. First, you can try one in a store. The brand has partnered with CB2's 15 nationwide stores to display and sell the Tomorrow Hybrid mattress; that could be helpful if you happen to live in the vicinity of a store, which are located in major metropolitan areas (see store locator). Another interesting feature is Tomorrow's 365-day trial period on its mattresses. We can only think of one or two competitors that offer a trial period that long; most are 100 or 120 nights. Should you choose to return the bed in within a year of purchase, you'll receive a full refund including pickup (see the Tomorrow warranty policy). Note: At the time of our video review of the Tomorrow Hybrid, the company offered a 100-day trial period; that's now been extended to 365 days. But what about support and preference aspects of the Tomorrow Hybrid bed? We evaluated the Medium Firm version of the Tomorrow Hybrid bed, and on our scale, we would class this mattress a straight up Medium in terms of softness. In our tests, the Tomorrow Hybrid excelled for back sleeping and side sleeping particularly, supporting lumbar and midsection areas, and offering excellent spinal alignment and pressure relief for our tester. We felt that most people would experience similar results, with the possible exception of those that are quite a bit heavier than our tester, over about 250 pounds. The Tomorrow Hybrid proved itself a true hybrid in our view: It had the best aspects of an innerspring mattress, namely bounce and edge support, coupled with the best of memory foam--a hugged or cradled feeling, excellent motion isolation, and excellent pressure relief. If you find yourself torn between foam beds and traditional innerspring, the Tomorrow Hybrid gives you a bit of both. If you are easily disturbed by a partner's movements, or don't want to feel kids or your dog jumping into the bed, motion isolation was a real highlight in our tests. Edge support was also excellent. If you find yourself tending to sleep on the very edge of the bed, this will be a priority feature for you. If you plan to use your mattress with an adjustable base, the Tomorrow Hybrid was one of the best models we've reviewed in terms of conforming to a fully articulated adjustable base. One aspect that gave us pause was ease of movement. If you change sleeping positions frequently, and have had issues with movement, then a mattress with three inches of memory foam might not be the best choice. While our tester did not have any major problems moving around, there is a slight sensation of being pulled back. We think that most people won't find this problematic at all, but for those that might have pain or join issues that make movement already challenging, a non-memory-foam bed, innerspring bed, or latex bed might be a better option. The Tomorrow Hybrid mattress’s price is very competitive; free shipping is included to your door, and a “white glove” service that includes in-home setup is a $75 option. You can place the Tomorrow Hybrid mattress atop the support of your choice, including a separately purchased box support, a bed frame, platform bed, or adjustable bed frame. The company sells a matching platform as well as an adjustable frame in twin XL, queen and king sizes. This hybrid bed combines 3 inches of premium comfort materials -- three different memory foams -- with a support layer of pocketed steel coils. The top layer of memory foam includes a phase-change coating; this is a chemical treatment that makes the foam feel cool to the touch. Even through the mattress's cover, we could feel the effect of that phase-change material. Note that this construction applies only to the Medium Firm version of the mattress. The Tomorrow Hybrid also comes in a Medium Soft version does not have the third 1.5" foam layer. Instead, it has a thicker second layer of foam. In addition, the soft version has different coils, made of 15-gauge steel, which will feel softer than the 14-gauge steel used in the Medium Firm version. Both models include a 3" wide foam edge support that surrounds the mattress on all sides. The layers of the Tomorrow Hybrid bed are wrapped in a very soft and stretchy cover. The side panel trim almost feels like a knit sweater. We thought it felt great and was super soft. We classify the medium firm version of the Tomorrow Hybrid mattress as a Medium mattress, right in the middle. We would assume that the Medium Soft version is quite soft indeed, but we did not test it. Throughout this review, our comments are for the Medium Firm version. Cushioning depth refers to how much you sink into the mattress versus floating top. Neither is right or wrong, it's a preference aspect. For the Tomorrow Hybrid mattress (again, we tested the Medium Firm version), we found cushioning depth to be a bit deeper than average. That means you're going to get more of a sinking or cradling feeling from this mattress. The Tomorrow bed is a real hybrid, as befits its name, with three inches of memory foam on top, and 6 inches of pocketed coils supporting the foam. We felt the bed to have a true combo feel, with some of the slow-responding/melting feeling of memory foam, along with the bounce characteristics of springs. Let's break that down a bit. The memory foam included on the Tomorrow Hybrid is quite slow responding, meaning that when you press down on it, it takes some time for the foam to recover or spring back to shape. With an all-foam bed, that would also generally mean there's no bounce -- the slow responding foam would soak up any bounce effect. But the Tomorrow Hybrid has that six inches of coils underneath, and springs do tend to produce bounce. That's the case here. So if you like a little of both, we think the Tomorrow Hybrid is a good blend. Overall, we thought the Tomorrow Hybrid mattress offered exceptional support, especially for those who sleep primarily on their backs. Side and stomach positions also felt very supported for our 200-lb tester. We felt that a wide range of people would have similar results. 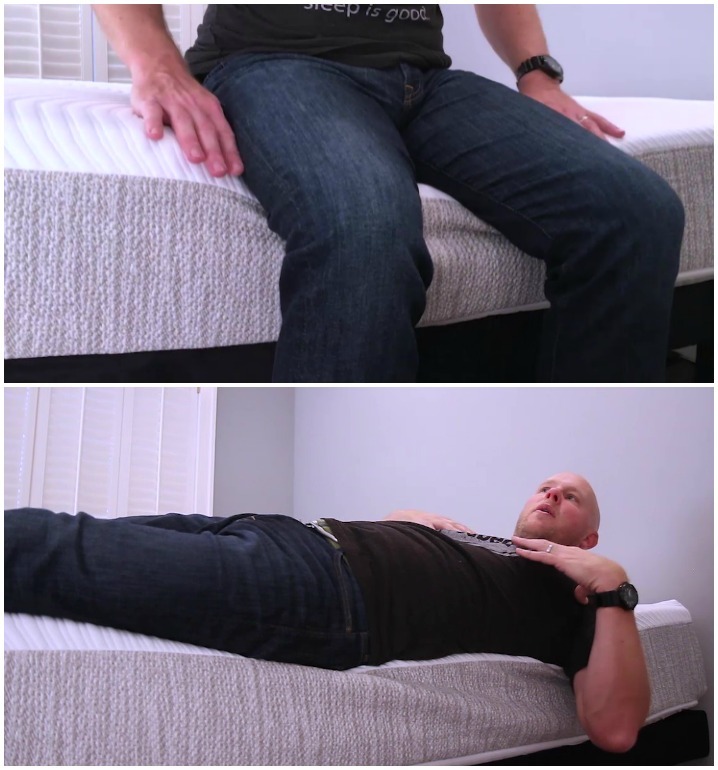 For back and side sleepers that are significantly heavier than our tester, say more than 250 pounds, we did question whether this mattress would be firm enough to provide enough support to maintain good spinal alignment. It's possible that those individuals could sink through the softer top layers and find themselves resting more on the coil layer; that's not necessarily bad, but depending you the kind of support you need, it's something to consider. Similarly, for stomach sleeping, out 200-pound tester felt like he was just within getting enough support for his hips. Those even a little heavier who are primarily stomach sleepers might sink too deeply, which threatens proper spinal alignment, and could lead to back pain. Spinal alignment for our tester in the side position was also excellent. Our tester felt his shoulders and hips sinking in just the right amount. Sometimes with foam mattresses, our tester feels his shoulders don't sink in quite enough. That wasn't an issue with the Tomorrow Hybrid bed. We felt that most people would have a similar experience, again with the possible exception of those in the 250-lbs+ range who might find themselves sinking through the top layers of the mattress. Achieving good spinal alignment for stomach sleepers can often be trickier as the hips can tend to sink down too far with some mattresses, but our tester felt well supported in this position. However, he did feel like he was right on the upper edge as far as weight, and that stomach sleepers even a bit heavier might have trouble with hips sinking too much. Our tester found pressure relief to be excellent for a person of his size and weight, and most likely those who are lighter as well. Again, those who are quite a bit heavier might sink though to the coil layer, which may or may not feel good to you. It's something to consider. 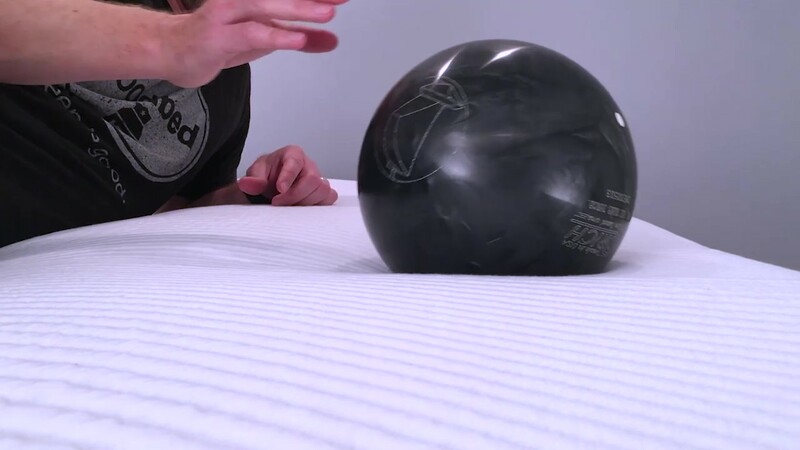 With a bowling pin standing upright on the Tomorrow Hybrid bed, we tested motion isolation by dropping a 16-lb. bowling ball on it, as well as the whole weight of our 200-lb. tester. In both drop tests, the bowling pin barely moved. To us, this shows that the memory foam and pocketed coils are both doing a great job dampening motion and vibration. We felt that the Tomorrow Hybrid bed could be a good choice for couples who don’t want to feel their partner getting in and out of bed, or are easily disturbed by movements during the night. For most people, we think the Tomorrow Hybrid mattress will not feel hot. While you do sink more deeply into this mattress than some others, meaning more of your body contacts the mattress, the mattress has some features to counteract feeling hot. First, the top layer of memory foam is coated with a phase-change material, and it does feel cool to the touch. And the lower layer of pocketed coils are more air than anything else, leaving lots of room for air flow. Lastly, the company has punched holes in the foam edge support to allow air to flow out of the mattress and back in. If overheating is a known issue for you, you might want to explore options among traditional innerspring beds, but for most, we do not think the Tomorrow Hybrid bed will feel hot. If you like to sit on the edge of your bed, or you find yourself tending to sleep right on the edge, then edge support will be important to you. For a mattress with this much memory foam, the Tomorrow Hybrid had excellent edge support in our tests. Our tester felt stable and well supported even when laying on the very edge, and never felt he was slipping off. Because this mattress has so much slow-responding memory foam, ease of movement could be a concern, especially if changing positions during the night has been difficult for you in the past. Our tester did not experience any big problems moving around, but he did note that because of the memory form, there is a slight sensation of being 'pulled back.' We don't think this will be an issue for most, but if it's a known issue for you, or you have joint or muscle issues that already make movement difficult, a firmer bed, or a non memory-foam bed might be a better choice. In the case of the Tomorrow Hybrid mattress, the company makes no claims about the use of natural materials, however all of the foams used are certified to the CertiPUR-US standard, which verifies that a material has low VOC off-gassing as well as a lack of chemicals and other substances regulated by the CPSC. Mattresses with coil springs, like the Tomorrow Hybrid, also have an advantage in that steel does not offgas, and is technically recyclable. We always give mattresses a “sniff test” and noticed that the Tomorrow Hybrid mattress had less 'new mattress smell' than most. If you plan to use your mattress atop an adjustable base, the Tomorrow Hybrid mattress is an excellent choice. In fact, the company even sells its own adjustable base (optional). We tested the Tomorrow Hybrid bed with a standard adjustable base and found that right away, the mattress conformed almost perfectly. In fact, it was one of the best mattresses we've tested in this respect. The Tomorrow Hybrid is a 10-inch mattress with 3" of premium memory foam on top of a 6" layer of individually pocketed steel coils. Surrounding the coil layer on all sides is a 3" foam edge support, punctured with holes to allow air flow. The top layer of memory foam is treated with a phase-change material to help with heat management. The mattress is covered in a stretchy and very soft material that felt sturdy and well made. Lastly, the mattress comes with an unusual 365-day trial period. When it comes to estimating the comfort lifespan of a mattress, we tend to use foam density as our best, albeit imperfect, predictor of how long a foam will retain its shape and resiliency. In the case of the Tomorrow Hybrid mattress, we did not note any red flags that would lead us to doubt the construction quality or longevity of this mattress. The foams used are of average density, and coil springs have a long reputation for durability. At it's current pricing, the Tomorrow Hybrid mattress competes squarely with dozens of other online mattresses, some with similar construction. But the Tomorrow Hybrid bed does have some standout features, including a long 365-day trial period that includes a full refund and pickup of the mattress. You can also try the mattress in person at any CB2 store nationwide. And lastly, the company behind the Tomorrow Hybrid, Serta Simmons, has been around for decades, so there's good assurance that obtaining service for your mattress down the road won't be an issue. And if all the comfort and preference aspects discussed above make sense to your personal needs, we do think the Tomorrow Hybrid mattress is a good value. overall. Tomorrow includes free delivery, which is not particularly unusual among its competitors. For $75, you can opt for white-glove service, where movers will delivery, unpack, and set up the mattress in your bedroom (and take the packaging materials with them). For another $50 on top of that, they will remove your old bedding. See: Tomorrow delivery options. When we filmed our video review of this mattress, Tomorrow offered a 100-night trial period. Since then, the company has extended the trial period on mattresses to 365 nights (the trial period on related items, like sheets or accessories remains 100 nights). Returns within the trial period are free, with pickup of the mattress. See: Tomorrow return policy. One of the biggest, if not THE biggest complaints about any mattress from consumers regards body impressions — the inability of a mattress to spring back, eventually creating a low spot/sinkhole in the mattress. As such, mattress warranties all contain a term defining how big a sag or ‘body impression’ (measured when no one is on the mattress) is considered a defect, and thus covered under the warranty. The industry standard for mattresses is generally between ¾” and 1.5”. Tomorrow has chosen to cover indentations that meet or exceed 1.5” -- definitely on the less generous side of the scale. Practically speaking, that means any softening or sagging would need to be at least that deep before the warranty would offer you protection. However, the long 365-day trial period can offset that somewhat. See: Tomorrow warranty policy. Summary: Is the Tomorrow Hybrid Mattress Right for You? We found the Tomorrow Hybrid mattress to be a good choice for a wide variety of people. Based on our findings, here’s who we think is the best and worst match for a Tomorrow Hybrid mattress. Is the Tomorrow Hybrid bed right for you? Take our Mattress Match Quiz to find mattresses that fit your needs, based on your preferences and price range. Looking for more on the Tomorrow Hybrid mattress? Visit their website at TomorrowSleep.com. Tuft & Needle's basic foam mattress is a good value, but is it right for you?